Hotel Naggar Castle: Situated on the left bank of river Beas at an altitude of 1851m, Naggar castle provided a perfect setting to shoot parts of Jab We Met. The place looks over the Kullu Valley and apart from the spectacular view and superb locale gives you a flavour of authentic western Himalayan architecture. The valley is the nucleus of several trek routes. The Castle was converted into a rest house, a hundred year back and in 1978 this ancient building was handed over to HPTDC to run as a heritage hotel. This medieval Castle was built by Raja Sidh Singh of Kullu around 1460 A.D. The hotel overlooks the Kullu Valley and apart from the spectacular view and superb location this has a flavour of authentic western Himalayan architecture. Here, a gallery houses the paintings of the Russian artist Nicholas Roerich. Naggar also has three other old shrines. 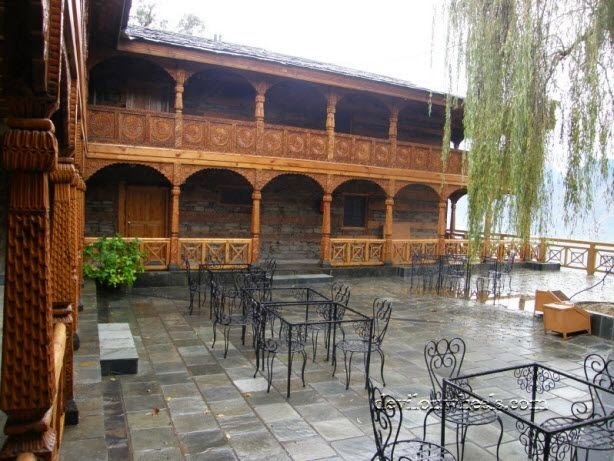 Hotel Castle is an unique medieval stone and wood mansion, once the home to the Raja of Kullu and now an HPTDC Heritage hotel. Pls. refer to Our holiday package and opt a premium package to stay in this hotel. We are also the representatives for HPTDC in central part of India.